I have a reputation for using innovative techniques where I devise tactics to suit the environmental circumstances as well as the clients. 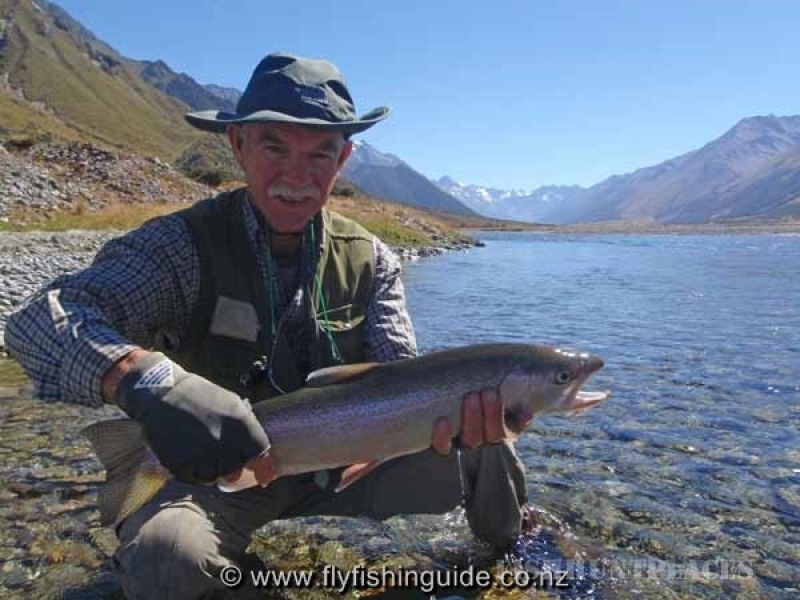 I utilise sight fishing at every opportunity, and practice catch and release in all rivers. 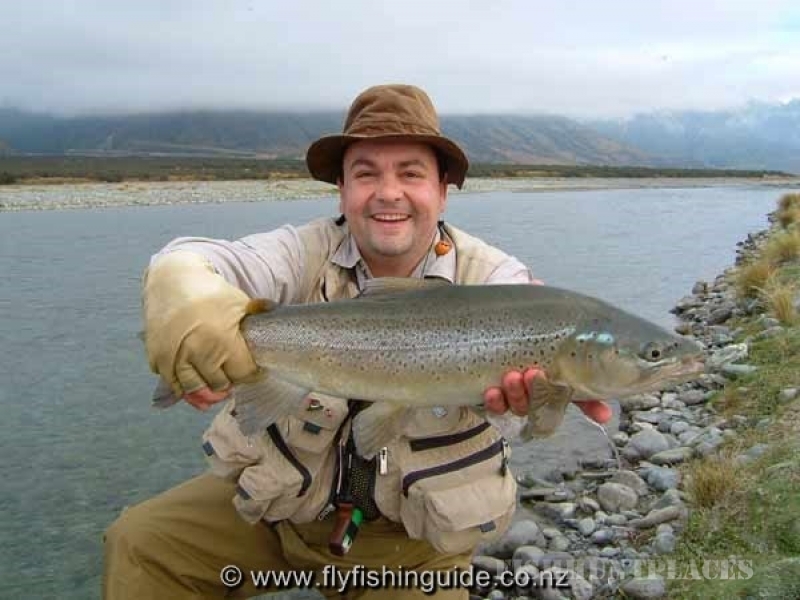 An added bonus for international fishermen, is that I am also fluent in French and certainly welcome anglers from any French speaking countries who wish to sample the delights of fly fishing in "Г®le du sud de la Nouvelle ZГ©lande". 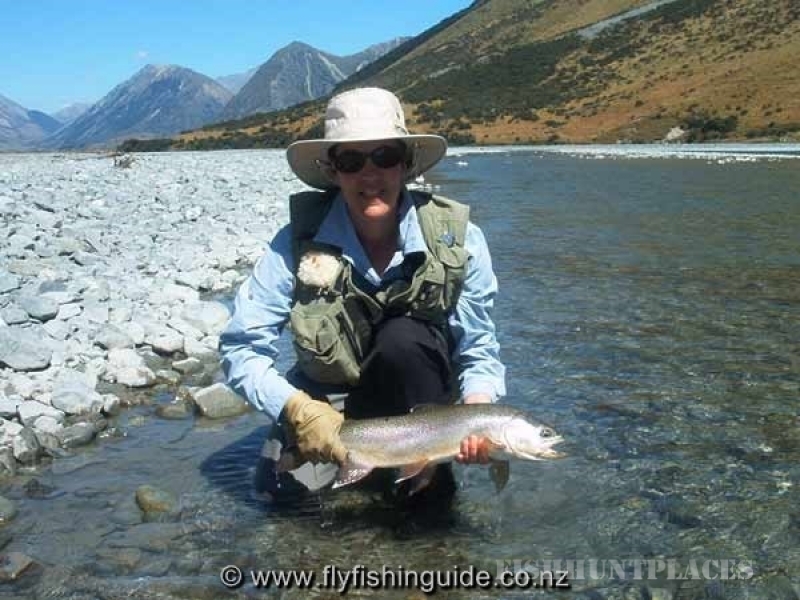 I mainly operate my guided fishing trips between the Waitaki river in the south-east to the Tekapo catchment further north although I travel further afield as conditions dictate. There are over 30 streams and lakes all within 1 hour's drive from my base in Twizel including the Tekapo and Ahuriri rivers. 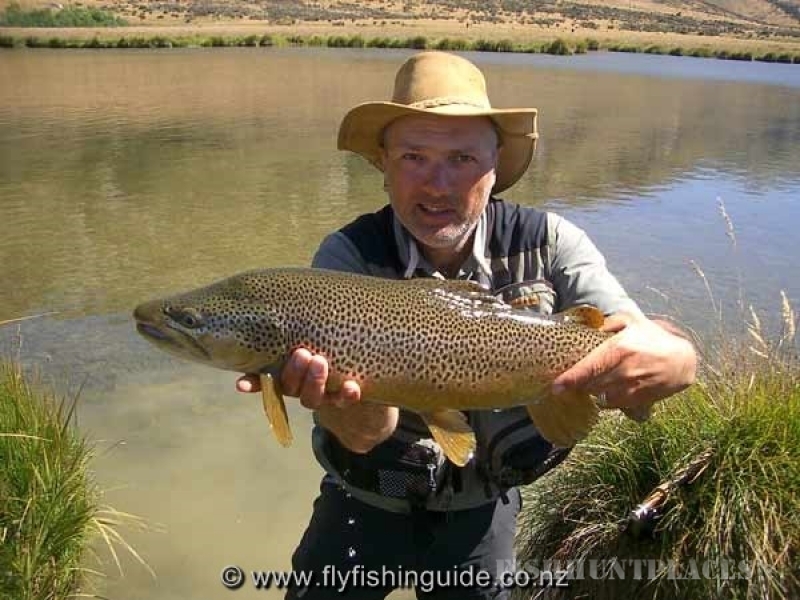 Nearly all waters contain the omnipresent brown trout and many also have a good population of rainbows. 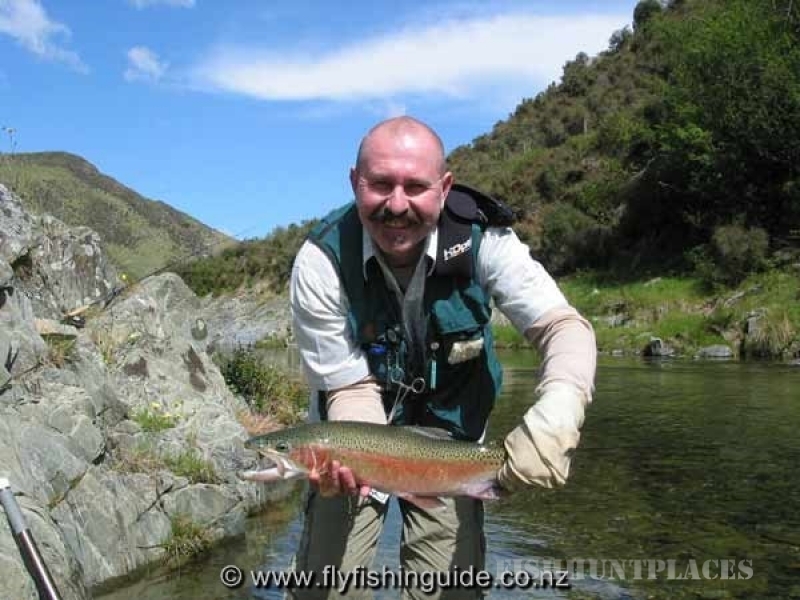 In fact, some of the best South Island rainbow trout streams are to be found in this region.